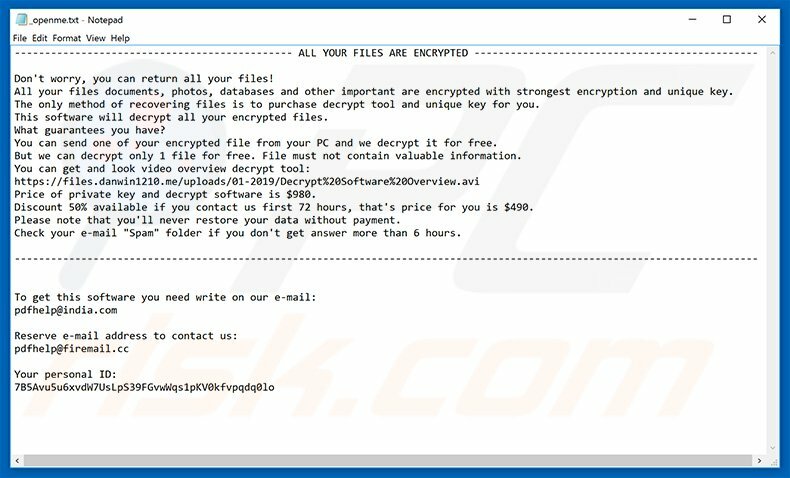 Malware authors design ransomware of this type to encrypt data (make it unusable) and to keep it that way unless the ransom is paid. To get the files back it is required to buy a decryption tool. Once the file is encrypted, all the files are renamed with an extension “.rumba” extension. While the malware author sends a ransom note with instructions to decrypt the files (Ransom Note – _openme.txt text file). Most of the cyber thieves exploit emails, spam campaigns, unreliable and fake software download sources. The cyber thieves use spam attachments with malicious attachments to multiply ransomware. Most of the attachments are Microsoft Office Documents, PDFs, archive files, executables etc. Trojans are malicious programs that, gets installed and causes chain of malicious infections. By easy different types of malware, they find effective ways to convince users into downloading and installing malware by themselves without actually knowing what they are actually intending to do. The cyber thieves use malware to infect the system and through which they gain a backdoor to encrypt the user’s files and kept it locked unless the user pays the ransom. To gain access to the files back the user must purchase the decryption tool by paying a heavy ransom. While the malware author sends a ransom note with instructions to decrypt the files (Ransom Note – _openme.txt text file). 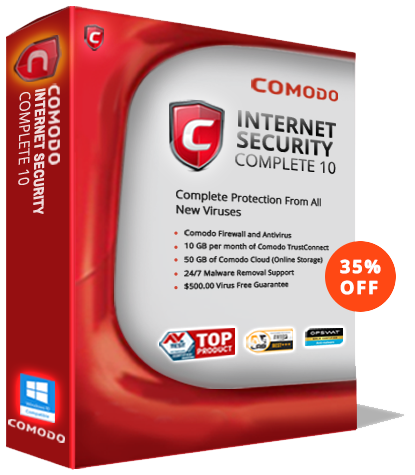 Comodo Antivirus is the most popular and the most widely used Anti-malware software for Windows. It is built with a set of features like containment to provide multiple-layer of protection. It delivers unique protection for devices in a network when it is connected from remote or wireless devices as well. The antivirus software delivers a 7-layer Endpoint Security Platform that features Containment with auto-sandboxing, Web URL Filtering, s, Host Intrusion Prevention, and Behaviour Analysis to deliver 360 degree protection under a single roof to provide protection for devices of individual users and businesses – small or big, irrespective of the sizes from such ransomware and both known and unknown threats.